November 17, 2014 By Tina M 2 Comments This post may contain affiliate links. Read my disclosure policy here. 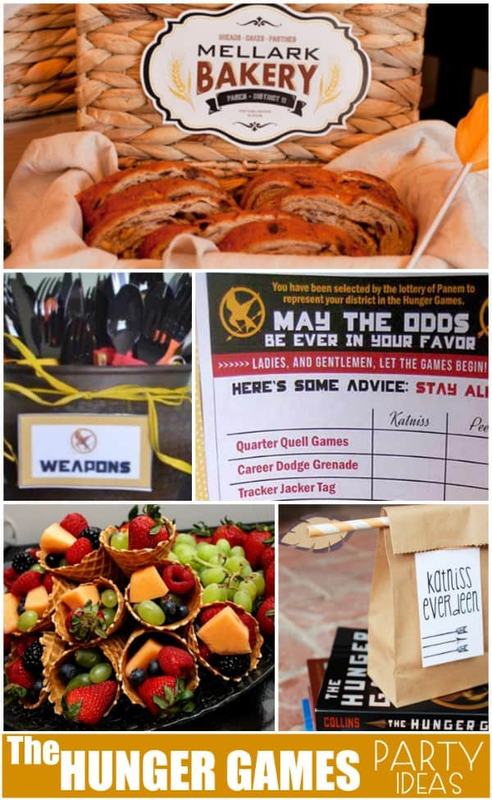 I had my own little Hunger Games “book club” party this last Saturday. We talked a little bit about what we remembered from Mockingjay, and then we rented Catching Fire to refresh our memory and get us ready for the movie! Even my husband (who doesn’t read a ton of books), is excited for the movie to come out and has been reading the series. When I first started reading them, I wasn’t sure what I thought. But as I read more (and especially reading Mockinjay), it hit me that the world we live in RIGHT NOW can be kind of scary, and how important it is to stand up for truth, and oppose government leaders (whether in our own country or others) that desire to control, brainwash and destroy freedom. I LOVE the bold and courageous character that Katniss has, and felt inspired by her throughout all 3 books. Make T-shirts: If you are going to the movie, this is a must! Make T-shirts if you have the time, or buy matching ones online. 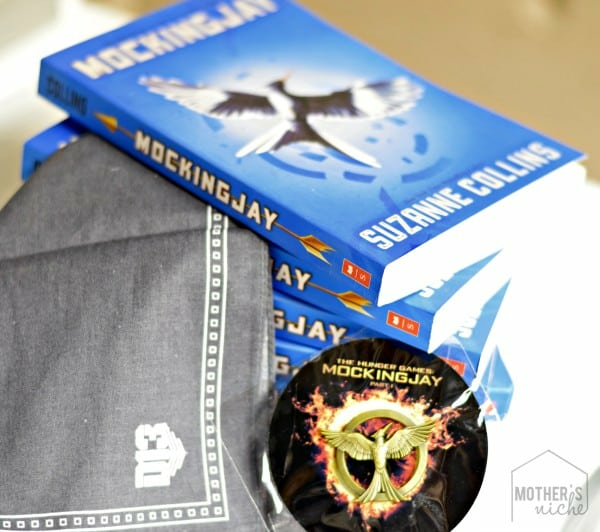 Or…throw on a mockingjay pin (like the one I have above). The pins also make fun party favors! Would You Rather: Play this Hunger Games “Would You Rather” Game. There are also fun game ideas in the very first links I posted (above). Have fun! I agree Michelle! I hate having to wait! But they did such a good job on it!